BLUE is proud to partner with Sustainable Ocean Alliance (SOA) to empower the next generation to become leaders in preserving the health and sustainability of our ocean. SOA believe that by providing young leaders with education, resources and opportunities, they will create measurable impact on our ocean and become integral forces of change. It is an organisation based in the heart of Silicon Valley in San Francisco led by Daniela V. Fernandez and her dream team. Daniela was named one of 2019’s Forbes 30 Under 30 recipients and is a member of the World Economic Forum’s Friends of Ocean Action. SOA creates solutions to the ocean’s largest threats through their two programs: The Ocean Leadership Program and the Ocean Solutions Accelerator. SOA’s goals align with the United Nations’ Sustainable Development Goal Number 14, which was established during the Paris Agreement to conserve and sustainably use the oceans, seas, and marine resources for sustainable development. Are you between the ages of 18-35 and want to become an ocean leader? SOA has created the world’s largest network of ocean leaders with a presence in over 80 countries and supporting over 1,000 projects. 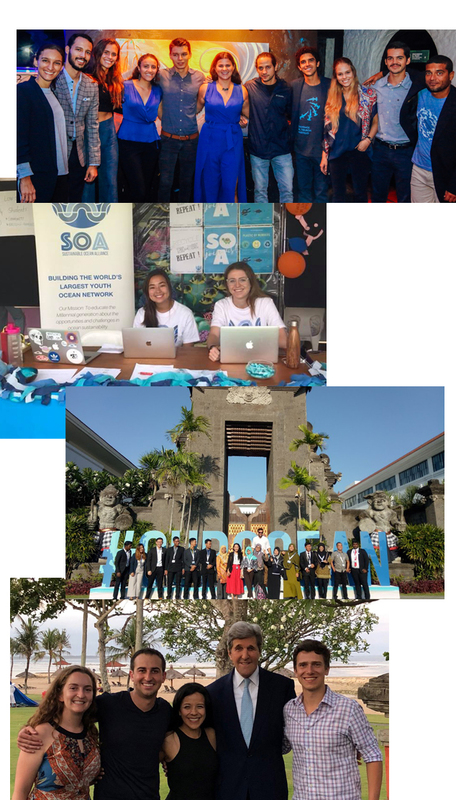 Become an SOA Ocean Leader today and gain valuable experience in broadening your ocean network, leading projects and campaigns, inspiring your community about ocean sustainability, and pushing your leadership skills to the next level. SOA are a team of ocean changemakers built upon the foundation of integrity, inclusion and innovation facilitating impactful change for the sustainability of our ocean. Sustainable Ocean Alliance (SOA) supports startups that are solving the ocean's biggest challenges. Their 2019 accelerator provides startups with $25,000 and acceptance into an 8-week startup development program in San Francisco. During the program, entrepreneurs will engage with SOA's global community of mentors, partners, and investors that are committed to building businesses that will benefit ocean health and sustainability. Entrepreneurs will also have the opportunity to showcase their solutions at premier ocean gatherings around the world. Click below to learn more and apply!